What’s up, good people?! No fear, this week’s roundup of movie and short film news is here. The Palm Springs International ShortFest, one of the most acclaimed festivals in the world, just wrapped up its biggest event yet. Last month, it featured over 300 short films from over 50 countries. The ShortFest also showcased a three-day conference dedicated to the next wave of filmmaking, Virtual Reality. Itsashort.com corresponded with Palm Springs ShortFest director Helen du Toit to talk about the festival’s future and the works that were featured. She even doled out a bit of advice for filmmakers looking to submit for next year’s ShortFest. 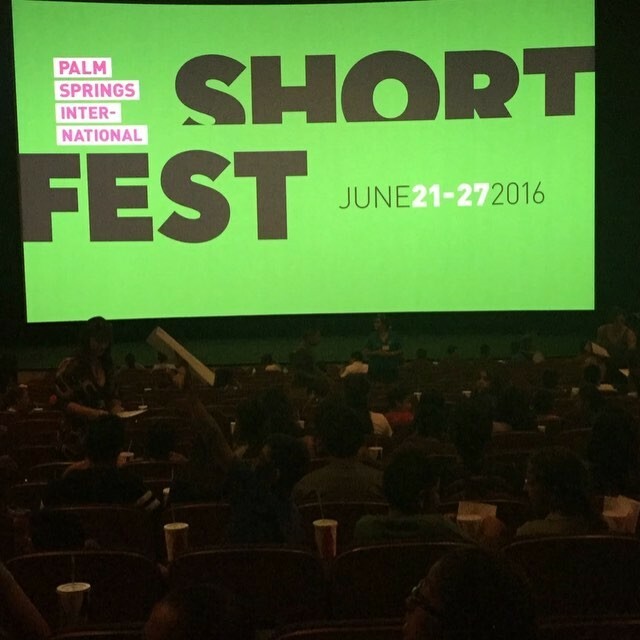 Itsashort.com: What made this year’s Palm Springs ShortFest different from previous ones? 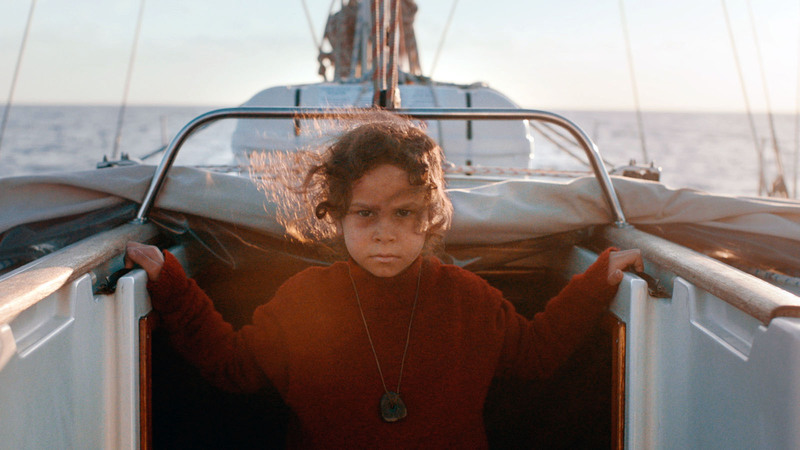 Helen du Toit: Many of the films in the festival this year explored themes of immigration, displacement and refugees — which is a clear reflection of major issues impacting people the world over. Interestingly, the perspectives of the filmmakers were ultimately hopeful, despite documenting stories of hardship or conflict. Itsashort: What quality/qualities did the winning selections possess that differentiated them from the competition? du Toit: The jury’s selections definitely skewed towards themes of migration. Honestly, the level of craftsmanship was extremely high, boding very well for the future of film. Itsashort: How do you see the ShortFest evolving over the next few years? du Toit: Our primary goal is to provide a platform for international emerging filmmakers to network and hone their skills. Many of them say that it is like Summer Camp for international filmmakers. We intend to build on the current successes and bring in more and more students and young filmmakers every year. Itsashort.com: What advice would you give to prospective filmmakers interested in submitting to the Palm Springs International ShortFest? du Toit: Because the programming team sees over 4000 submissions, it is crucial to be as original as possible in your storytelling. And before you start shooting, know what you want to say. You are not just directing your actors on set, you are directing the audience to witness your own specific view of the world. Plus, we are ALWAYS looking for great comedies! “Intersection,” directed by Brendan Beachman, takes place at — you guessed it — an intersection in the middle of nowhere. Everything seems copacetic with two construction workers until a supernatural event occurs. 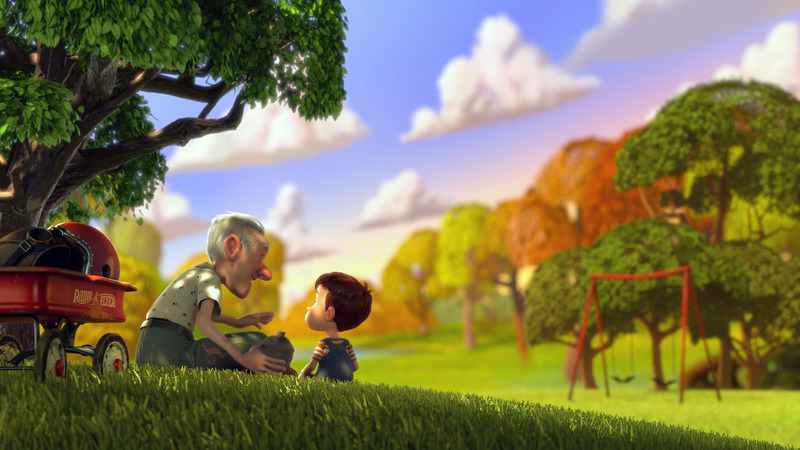 This graphic, mind-trip of a short film features stunning cinematography, special effects and editing. Did we mention that it is satisfyingly creepy as well? To see this critically-acclaimed short film, hit this link. Oh, and prepare to have your mind BLOWN. A 90-year-old woman tries bacon for the first time. A police officer incorporates a Bruce Springsteen song into an awkward eulogy and a group of Senegalese street vendors fight over a piece of New York City sidewalk. Those stories are just part of the 2016 Sundance Short Film Tour, a veritable hodge-podge of films that range from the compelling to the downright absurd. The short film tour, which started last month, will play at 35 venues across the country. Here, one finds every kind of thing, from quirky docs and neorealist dilemmas to animation and dive-bomb Surrealism. The short film about the nonagenarian trying bacon for the first time, Bacon & God’s Wrath, is one of the standouts, along with the short about a cop doing his mother’s Eulogy (Thunder Road). Asantewaa Prempeh’s Jungle, which chronicles two Senegalese street vendors trying to eke out a living, has also drawn raves. 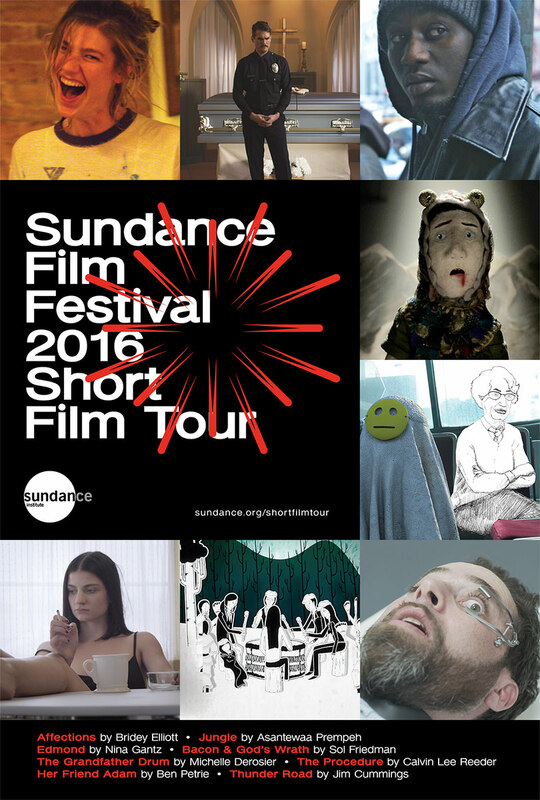 For more information about the 2016 Sundance Short Film Tour, see this link. And speaking of the Sundance, filmmakers looking to submit to the 2017 festival, should visit this link.